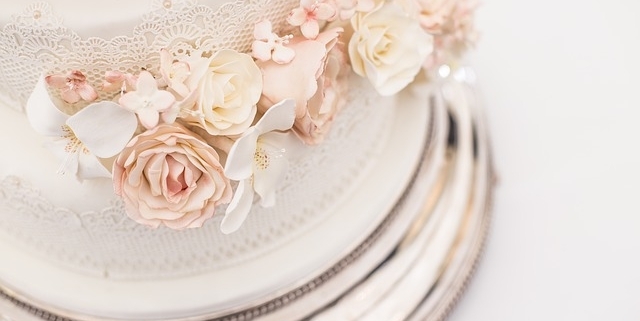 The history of wedding cakes goes back almost as far as that of weddings. Snow white frosting symbolizes virginity but also evokes thoughts of crisp, white, wedding bed sheets. In ancient Greece, the wedding cake tradition was for brides to bake cake for their new husbands. In the era of Louis XIV, the French served alcohol-soaked cakes to the wedding couple as a send off with a kick. Today, the serving of wedding cake is a sensual dance. Partners cut cake hand-in-hand then feed one another from the first slice.